Today’s culture has an auto-pilot: We do what we know we should NOT do, and we don’t do the things we know we SHOULD do. A popular modern-day psychologist says it this way: “Stop doing what you know is wrong; start doing what you know is right!” How crystal clear is this! We don’t need another life principle if we faithfully practice this! It is timeless. BUT… an “EZ” Button exists. The moment-by-moment challenge of the human condition makes this EZ Button always look good. Here are some examples. What am I going to do with that EZ Button when I should not eat sweets or bread? One slight touch on Mr. EZ Button and dark chocolate starts chasing me, running fast and never tiring. What is the young lady in Alaska going to do with that EZ Button when drugs tempt her? One slight touch on Mr. EZ Button and heroin wants to tackle her like an NFL linebacker. 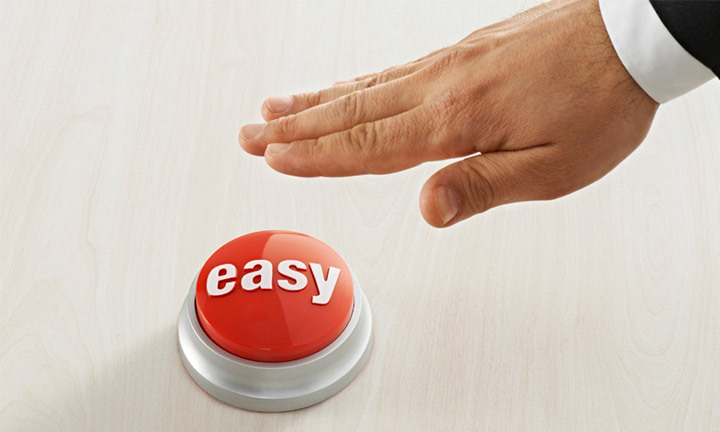 What is the CEO going to do with that EZ Button when finances are out of control? One slight touch on Mr. EZ Button and anxiety and fear begin to attack. What is the tough-childhood mother going to do with that EZ Button when fear overtakes her with her kids? One slight touch on Mr. EZ Button leads her to overprotect them as the easy way out, not realizing they may eventually reject her. What is the retiree going to do with that EZ Button when he now has personal time? One slight touch on Mr. EZ Button and he is watching videos, movies, TV all day. What EZ Button is within your reach? If you touch it, what starts chasing you? This is the daily battle. It comes down to choice. You choose the EZ Button, or you face the challenge. Choose to feed your soul with what is good for you and not feeding yourself with EZ Street.